Yesterday’s article about AIG (the insurance giant) being designated a systemically important financial institution (SIFI) kicked off this column, laying out my long-held and somewhat smoldering beliefs on the subject. Essentially, all this rigamarole and dancing around issues amounts to recognizing AIG for the second time as being too big to fail. The first time was a time too often—a bridge too far. Failure is a lesson in life and we all, at one time or another, have stumbled and occasionally failed from that the effects of that stumble. That’s how, as a small businessman, I learned of my hiring failures, the pressures of bank-loans and the bare-bones fact that doing good work for my present clients was more valuable than finding new ones. We are dangerously close to rewarding those who sell their clients down the river, preferring instead to ruthlessly acquire new ones. What message do we learn from that, supported by our government, our Supreme Court, the Department of Justice and the growing gap between haves and have-nots? The wrong message. A splintering message, tearing at American society. If you and I struggle to pay our taxes and others have the power and ability to legally avoid theirs, we begin to feel like fools chumps, out of the loop that is supposed to be ‘representative’ government. Cocktail chat moves from honest and varied conversation about problem-solving to an illogical but understandable “why me, if not them.” When that tone takes over the debate, we are all the poorer for it and drive home to pay the babysitter, unsettled and needing another drink. Perhaps it sets off an argument between spouses as well, settling into bed back to back, estranged from those we love most. Wrong messages have a life of their own but, unresolved, they separate rather than bring us together. God knows, in these times, our need is to pull together rather than pull apart. Families can withstand nearly anything if there’s trust, fairness and love. So it is with governments. "On Main Street, insurance protects people from the effects of catastrophes. But on Wall Street, specialized insurance known as a credit default swaps are turning a bad situation into a catastrophe. 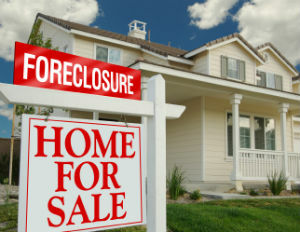 When historians write about the current crisis, much of the blame will go to the slump in the housing and mortgage markets, which triggered the losses, layoffs and liquidations sweeping the financial industry. But credit default swaps -- complex derivatives originally designed to protect banks from deadbeat borrowers -- are adding to the turmoil. "Five years ago, billionaire investor Warren Buffett called them a "time bomb" and "financial weapons of mass destruction" and directed the insurance arm of his Berkshire Hathaway Inc (BRKa.N) to exit the business. Recent events suggest Buffett was right. The collapse of Bear Stearns. The fire sale of Merrill Lynch & Co Inc (MER.N). The meltdown at American International Group Inc (AIG.N). In each case, credit default swaps played a role in the fall of these financial giants. The latest victim is insurer AIG, which received an emergency $85 billion loan from the U.S. Federal Reserve late on Tuesday to stave off a bankruptcy. "…When the credit default market began back in the mid-1990s, the transactions were simpler, more transparent affairs. 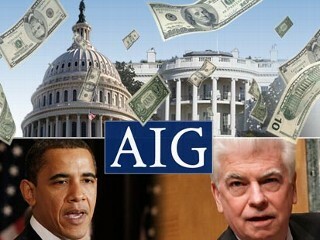 Not all the sellers were insurance companies like AIG -- most were not. But the protection buyer usually knew the protection seller. As it grew -- according to the industry's trade group, the credit default market grew to $46 trillion by the first half of 2007 from $631 billion in 2000 -- all that changed. An over-the-counter market grew up and some of the most active players became asset managers, including hedge fund managers, who bought and sold the policies like any other investment. And in those deals, they sold protection as often as they bought it -- although they rarely set aside the reserves they would need if the obligation ever had to be paid." There are said to be anywhere from $80-$200 trillion out there in the ether in credit default swaps, with virtually nothing behind them to pay off. You and I may not care because we’re not in the markets, but we would be nervous as cats if the insurance on our lives, automobiles, homes and health had nothing to back them—absolutely nothing. In an effort to keep this most recent bubble from bursting, Washington has elected to throw money at it—your and my money, taxpayer money. Why? Because they’re terrified of collapse and with good reason. Yet we know in our heart of hearts—any sane man or woman knows—you can’t stabilize a house of cards with printed money. And this is the crux of my complaint about wrong messages. Saving Wall Street and the big banks because they are too big to fail has had disastrous side effects. We essentially privatized profit and socialized loss for the biggest gamblers in our society. When they make money, they keep it and ease off to the Hamptons for the weekend. When they lose at the table, they turn to us to pay their gambling debts. 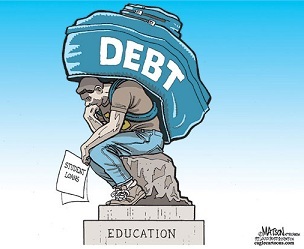 With a growing portion of the population struggling against underwater mortgages, job loss and student-loan debt (student loans are now larger than all combined credit-card debt), it feels—and is—unfair to let us sink and allow the gamblers to float off in our life-jacket. I understand that most of the original bailout money has been repaid, but the message of gamble away, boys, we’ve got your back is outrageous when no one has the homeowner’s or student’s back. The banks, insurers and hedge funds are soaring, while America suffers. The Dow Jones is at a record high. So are mortgage foreclosures, unemployment, health-related bankruptcies and student-loan defaults. A message for sure, but the wrong message.